This morning I planted out my Hatch green and red chiles into trays. They are showing some real leaves, so it was time. They are still inside under a grow light. Hopefully just after Mother’s Day I will be able to set them out. Mother’s Day seems to be the magic expiration date of frosty overnights here in Chester County. I am itching to plant, but I know I pretty much have to wait. I also found the pink swamp milkweed seeds my friend Meredith gave me. I am starting those in trays under grow lights. I will eventually plant out as many plants of those as I can get. Pollinators and butterflies love them. I gave my David Austin Generous Gardener climbing rose a good prune recently. I took out diseased, dying, and dead canes. I also took out crossing ones to open up the rose and it has rewarded me by sending out loads of leaf buds. The clematis which grows in this climbing rose also got cleaned up and is sending out new growth as well. Both of my tree peonies are also showing wonderful new growth. They were presents from my friend Dr. Foo who grows the most amazing array of tree peonies in his gardens. Some of my other peonies are starting to stick their heads out as well. I planted a lot of peonies in the fall bare root. I am anxiously awaiting their emergence from the ground. I do not expect them to necessarily bloom because I have learned that peonies planted bare root need a couple of years to mature before they really start to bloom. I have had casualties in the garden, however. RIP to one of my David Austin Abraham Darby roses. I had two but the wet summer last year bought borers and other things to my roses, making it a very difficult rose season last year. I was going to throw both Abraham Darby’s away but one in spite of the borer damage sent out a couple of new shoots so I cut it back and moved it. I have this one little corner of the garden that is like a rose infirmary. There are no positions of prominence, so I just plunked it in the ground and perhaps it’s a little Darwin survival of the fittest, but it will either live or die. Much like my John F. Kennedy hybrid tea. Borers are a problem in this garden, and I will be more dedicated with insecticide drenches this year. As a cancer survivor I don’t like to use chemicals but sometimes I just have to. I have a lot of time, money, and sweat equity invested. I will be planting two new bare root roses soon when they arrive, so I will just try again. I haven’t quite decided where they will go, but I will by the time they arrive. Soon my other plant orders will be arriving. I am adding more native species. I am also adding a couple of more witch hazels. Red ones! I also am happy to note that my camellia made it thorough the winter and the flower buds are growing nicely. The one I have was started at Morris Arboretum and is called “Balustrade“. It was grown to be winter hardy and so far so good! Other things blooming now include hellebores. I never planted them much before this garden, but my friends at Applied Climatoloy (they sell at the West Chester Growers Market) convinced me to go outside of my comfort zone and plant a bunch and well…they were right! The last photo in this post is one that is such a deep purple it is almost black. Yesterday I went and looked at a friend’s garden to help her kick around ideas of how she can plant it and make her ideal garden come to life. She has a bunch of terrific foundation plantings already and basically, it’s softening the edges one bed at a time to give her what she desires. Sometimes it is hard to envision HOW to get to where you want to be. That is why I think things like Pinterest are a great resource. Pinterest is loaded with photos of gardens and even ideas. I have a great collection of gardening books, but not everyone does, so Pinterest should not be overlooked. The other thing is simple- when you bring plants home, place them out in your beds before planting and don’t be afraid to move the pots around. I don’t like even numbers, I arrange and plant things in groupings of odd numbers. I use my imagination to see how I want things to look eventually. But because gardens evolve and grow, I move plenty of stuff around when I realize I have a better spot for whatever it is. I will close with a great source for garden inspiration is Monty Don’s Gardener’s World on BBC. If you stream BritBox on Amazon Prime you will find the current season. It’s a beautiful day today. Put on some sunscreen and putter around in the garden! Geoff Partridge in 2017 with his beloved fiancée Jill Turanski. Family photo. Rest in peace, Geoff Partridge. May your memory always be a blessing. You are at peace. This is the post I hoped I would not have to write. It’s a story that is so hard to write. Last night came the news that a fisherman had found a male body in the Schuylkill River. I think if I am honest with myself, I had a sinking suspicion officials would say it was him because of where he was found compared to the proximity of where he disappeared. When I first learned of Geoff Partridge being missing in December I did not at first realize that I knew his mother, Holly Morrison. She and I share some very dear friends. When you meet people as adults at a certain stage of your life you often do not realize who the kids are because they are grown-up and on their own. Our mutual friends include those wonderful men who tirelessly searched the river by boat for Geoff. I have been sitting with this news for a few hours at this point. When Holly’s and my mutual friend Karen and I spoke I was speechless on the phone. Then when I got off the phone I cried. Again, I did not know him personally but I cried. For his family, for his friends, for his life light burnt out too soon. And for some reason bits of the Coldplay song Fix You wouldn’t leave my head. I don’t know why that song. I do not even know what kind of music Geoff liked. One of the last lines of the song… Lights will guide you home. I guess it was time for Geoff to come home for his loved ones to have closure. Geoffrey Partridge, 36, was found dead in the Schuylkill late Thursday, almost exactly four months after his SUV was found, abandoned, on one of the river’s banks. A fisherman discovered Partridge’s body about 6:30 p.m. in the water along River Road near Hollow Road in Gladwyne…Partridge’s cause of death was ruled to be drowning, and its manner was ruled to be a suicide, according to a spokesperson for the coroner’s office. Holly Morrison, Partridge’s mother, said in a brief interview Friday that her “heart is broken” and she and her family were struggling to process the news. We’re not supposed to bury our children. My heart is so heavy for her, Geoff’s fiancée Jill, and their family and friends. Geoff and Jill shared 15 years together. When Holly and I swapped text messages a little while ago she told me she is at such a loss for words and is devastated. I totally teared up the first time I read what she wrote in January, and again today. There are people who are brilliant and too brief lights in our lives. Geoff Partridge meant so much to so many. I am not going to speculate on what happened that fateful evening he disappeared. As it has been reported, Geoff had bipolar depression and Lyme disease. Ok that right there is a toxic and exhausting scenario. And people do not take seriously enough the neurological impacts of Lyme as well as the more obvious symptoms, including pain. And if you have ever had friends who suffered from any form of depression, it’s a complicated thing to live with. And I think it’s harder on men because in our society the traditional roles of men being stoic and strong and not expressing how they feel as readily as women makes it harder. It’s the whole boys don’t cry. My friends tell me how lovely a person Geoff Partridge was. He loved and was loved in return. I don’t know what else to write. I am at a loss here as I feel the sadness of this news today quite profoundly. Part of this is just me as a cancer survivor – death hits me differently now. Also as a parent, this hits me hard. bloombox: garden plants hand delivered straight from the source to you. I love my plants. I love to garden. So now is the time when I start accumulating what I am going to plant. Recently I became acquainted with two gentlemen from Lancaster, PA. David and Chase have this business called BloomBox. This is an independent small business and the model is simple: great plants, reasonably priced delivered to your door. And by delivered, I mean hand-delivered. Not packed in the shipping box and sent FedEx or USPS or UPS. Delivered as in the grower comes to you. This morning I decided to place a small order. I need to get my herbs, perennials and some of my bedding plants sorted. Herbs especially are something I buy a great deal of because my garden is in part a cottage garden. So I mix a lot of herbs in with my perennials and shrubs and trees and bulbs. Much to my delight, after placing my order around eight something this morning, there was a knock at my door. And there was David co-owner of BloomBox with my plants! My plants were in beautiful condition and exactly what I ordered and exactly what I expected. They also gave me a beautiful little Primrose to plant as a gift. They do that with all their customers. David and I spoke for a brief time and I will be ordering from him again. To me this is an extension of shop local. And right now orders over $45 are delivered for free. Their delivery area is fairly wide but you still have to check your ZIP Code to make sure they serve you before you place an order. They are not certified organic, but they are clean growers so in my opinion they don’t have to be certified organic. I know how they’re growing and what they’re doing. Give BloomBox a try! I will also note that I am not a compensated blogger, and I have not been compensated for my opinion here in anyway. I am a new customer of the business and I am impressed so I am sharing this with all of you. BloomBox checks all of the boxes: quality, value, customer service. I will note that I am not going to directly put all of these into the ground just yet because it is still a little early. I will be bringing my plants into the garage and covering them outside with landscape fabric until it is warm enough. Spring is here, so go dig in the dirt! This Krapf School Bus driver took years off our lives in worry on Route 100 a little while ago because he or she had their turn signal on and was in REVERSE at the same time! And that bus was in reverse for a couple of minutes at least. It was very scary because we did not know what was going to happen. In a situation like that you can’t just honk at someone because if they hit the gas they’re going into reverse right into your vehicle. Krapf was very responsive when I called them to report it, but in my humble opinion whomever was driving that bus needs a refresher course in driving a bus. I know driving something that big can’t be easy, I certainly couldn’t do it, which is why you would never have someone like me driving kids around in a school bus. But Krapf needs to do better. They have some totally wonky drivers out there. And the horror stories I hear from people are astounding. I shot a brief video as a passenger in our vehicle to prove they were in reverse – you could hear the beep beep beep. In the 1990s I submitted two articles to the American Rose Society. But when they changed their website from ars.org to rose.org, my articles got lost. I still have the old link to one of the articles, but it goes nowhere. 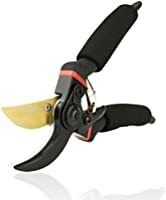 So I decided that twenty plus years later it was time to update one of my articles for the way I garden today. Call it Roses Thrive on Routine 2.0 . I am now a zone 6A rose enthusiast. Sometimes on some websites, I pop up as a 6B. I used live in suburban Philadelphia, Pennsylvania on the “Main Line”. Now I live in Chester County, Pennsylvania. I planted my first rose bush with my father and paternal grandfather when I was fairly little. The rose bush was a Hybrid Tea called John F. Kennedy (my late father’s favorite rose and still one of the most majestic white hybrid tea roses when you can find it), and I have been in love with roses ever since. My roses used to be my ultimate garden obsession as well as my favorite garden element. They still are a favorite, but as I have grown as a gardener and as my gardens have changed over the years, they have become part of the garden, but not the center of the garden as they used to be. Some years are better than others growing them. That is just the way it is, as it is for other plants in my garden. a few basics that would be my pleasure to share. I have updated this for my current best practices. Once you have established a routine in the garden for your roses, you will not be able to imagine how you could live without a rose or two. When I first wrote this article my then garden has 51 rose bushes. Today I have around ten, depending on what made it through the winter. I believe in good mulch for my roses. Back then I used to only use licorice root and cocoa hulls (please note that cocoa hulls can grow a fuzzy layer of mold when it is damp, which is unsightly, but has never harmed my plants), or buckwheat hulls mulch. If I couldn’t get licorice root, I looked for a good triple-shredded mulch. I lived on the Main Line and I not have a garden half in the woods so today I used two things predominantly: wood chips my arborists chip down from my own hardwood trees and shredded and not shredded leaf mulch. Thanks to listening to Jenny Rose Carey at a lecture last spring I discovered the fun of having a leaf shredder. 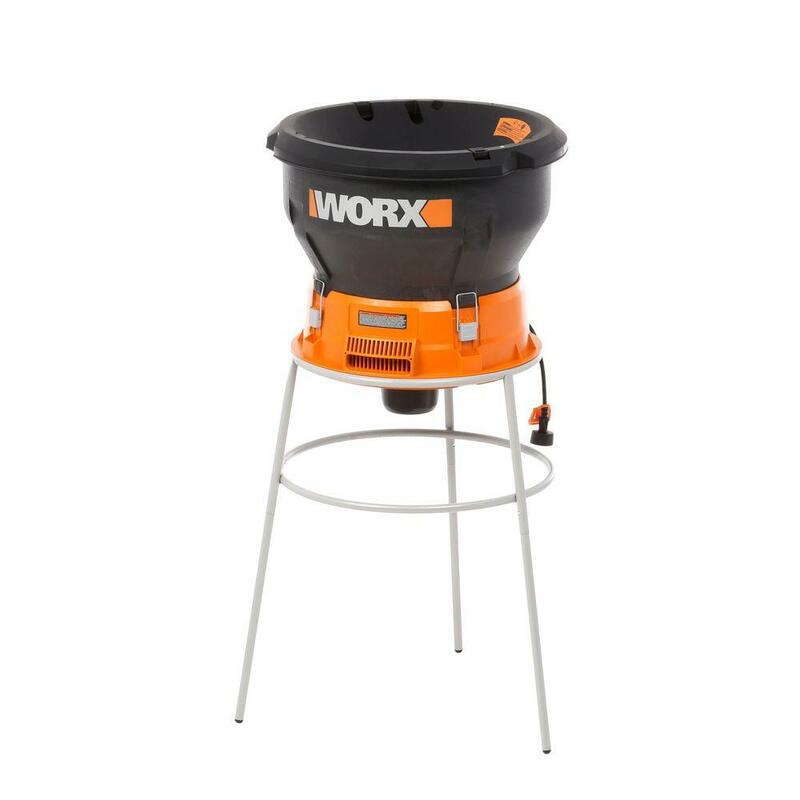 The one I purchased is by Worx and is rated number 1 in reviews and is very reasonable in price. I still mulch twice a year: in the spring for the growing season, and in late fall to provide a winter blanket. In the spring, I USED to remove as much as possible of the old mulch from the winter and previous summer, and apply approximately one-and-one-half to two inches of mulch everywhere. As what I am using now (hardwood chips and shredded leaf mulch) enriches my soil and breaks down beautifully, I no longer have to remove my old mulch. And if you buy triple shredded mulch from someone , for God’s sake do NOT use COLORED mulch. That dyed stuff is awful. It doesn’t break down properly and the dye will get on your hands and feet and clothes as you garden and on your pet’s paws, babies’ feet and so on. I also no longer use the cocoa mulch ever because dogs eat it and as that is what chocolate comes from and chocolate is poisonous to dogs, I have erred on the side of caution. Besides the fuzzy mold that would grow got to be a bit gross. I want my roses to breathe, so there is an approximately five-inch magic circle from the base of my rose that only has a peat moss “jacket” (a jacket to me is peat moss only), but no mulch. In the late fall when I apply my second mulch dressing, it merely goes over the old mulch and covers the crowns of my roses. This is where I especially like the shredded leaf mulch now. It is light and fluffy on my flower beds. Every plant benefits, not just my roses. As far as my soil goes, I used to follow the same routine every year. Now, I work any of the following ingredients into my rose and perennial beds depending on what I think is needed: peat moss, dehydrated cow manure, cottonseed meal, green sand, dried blood, bone meal, and some iron sulfate. I also like the lobster compost, chicken manure and mushroom soil. Lobster compost is a newer obsession. It is made with chitin and calcium-rich lobster shells, compost and peat humus. The result is a dark-brown, complex soil that drains well and is ideal for conditioning beds and borders, vegetable gardens, herbs and annuals! The stuff I buy is usually made by Coast of Maine. Coast of Maine sells great products and if you look (or ask them) they can tell you locally where to find their products or on Amazon. Minus the peat moss, you will find most of these ingredients in their chemical form in a granular rose food. Most of these granular foods and separate ingredients can be easily located at your local garden center or hardware store. For those who feel most comfortable with a pre-mixed granular, I would still strongly recommend also including soil amendment as needed. It is always important to keep your soil happy. Happy soil equals happy rose bushes! Once my roses have shown me at least one and one-half inches of new growth each spring, I dig in my granular feed. I will tell you I use a systemic granular feed that has insecticides and fungicides. I usually do this around Mother’s Day because where I live that is when the danger of frost is mostly over. Then , I apply a little more peat moss and then my mulch. Also, whenever I have banana peels, I use them into my rose beds. Banana peels are the true junk food of roses!!! They love the boost a banana provides from potassium and other elements contained within the banana and its peel. I learned about Banana Peels from Old Wives Lore for Gardeners by Maureen and Bridget Boland. You can still find these books on Amazon and Ebay and from other used book dealers. They also recomeend beer for hollyhocks. It’s a fun book. I have learned to make my old banana peels into a rose smoothie, so to speak. I used to dig the peels in around the base of each bush, but given the critter population living with woods and farmers’ fields I have developed a rose smoothie which I dig in around the base with a small spade I use to transplant seedlings. The consistency of this smoothie for rose bushes should be on the thick side , but pourable. I don’t take my blender outside I pour the goop into a plastic pitcher. I then go around to each bush and dig a few ounces in around the base of each bush. I have a standard sized blender and only a few rose bushes right now, so one batch of rose smoothie is all I need every time I do this. I will feed my roses this concoction every two weeks until Labor Day. Sometimes I am not so religious about this as I have a large garden, but I try my best. can still get sharpened if I can find someone to do it, but the others? Like vacuum cleaners they have to be replaced every few years. Pruning is such a visual thing to learn, and that is honestly how I learned: descriptions, photos and diagrams. I purne from around Halloween into November, and again lightly in mid to late March when I can see what the winter damage was. 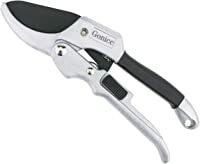 And keep those pruning shears clean! With my roses I have also learned a lot from Monty Don, who is has several English television gardening shows including Gardeners’ World (in the US we can get this on streaming services a little bit but not all of the season), writer and speaker on horticulture. My other main go-to source is Fine Gardening. Fine Gardening is the best U.S. based gardening magazine and buying a subscription also gets you unfettered online access to their articles and tips and so on and so forth. These gauntlet gloves are by Fir Tree. I own a pair of this brand. Also, do not forget to invest in good gardening gloves. When dealing with roses, average hand covering only gardening gloves won’t do. You need gauntlet gloves. 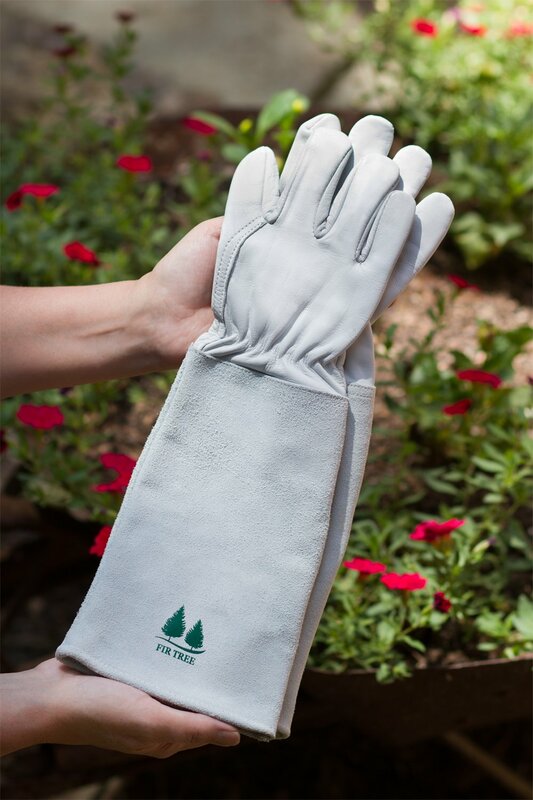 I will also note I go through a LOT of regular gardening gloves in a season. But the gauntlet gloves I bought are now into their fourth year and still in great shape. I bought the Fir Tree brand on Amazon. It was just dumb luck that I discovered them because until I bought their gloves, I was destrying gauntlet gloves at a rapid rate too. I should also note that the things I recomeend I buy from the companies. I am not a compensated blog. Now how about planting? Let me also state that I do not grow those knock out roses. They are not roses to me. They do not even really have a scent. I have mostly David Austin roses today plus a hybrid tea (John F. Kennedy my first rose) and a Queen Elizabeth, which is a grandiflora. I used to plant a lot of different kinds of roses (modern and antique) but in this garden, my favorite shapes and smells are the David Austins because they combine old roses with the new and as my space is limited on sun in this garden, I want roses I know will perform well. And an added bonus for me is that with David Austin roses I can buy own-root roses. They are not grafted and I find that a bonus because I did have an instance where a rose died and I thought I had gotten all of the root stock out but I hadn’t and I am still getting rambling rose rootstock popping up every couple of years that I do not want and do not have room for. Own root roses are the same plant above and below the soil line. I find it makes a better rose bush. New canes (rose branches so to speak) can be grown from the rootstock without fear of the grafted rootstock taking over. sand (or green sand), gypsum or Chicken grit (which is insoluble stone – often granite or flint) or ground up Oyster shells, lobster compost/dehydrated manure/mushroom soil (just depends what I have on hand at the time) and peat to break it up thoroughly. The soil around my current house had a very high clay content when I first started to plant my garden, but I know it is improving with soil amendments, judging by my toadstool barometer. Toadstools and edible mushrooms only like to grow in good, rich soil! hole has sand, peat, soil, and a couple of chopped up banana peels (Iknow that sounds confusing but I will start a rose with banana peels because I am digging a pretty big hole and they are at the very bottom, not just dug in a couple of inches around the top of the soil.) That is the first layer. Then I alternate layers of soil and peat until I reach the halfway point and I place my potted or bare root rose in my new hole. or crowd the roots rather than enlarge my hole if necessary. alternating between soil and peat moss. My top layer is always peat moss. After the parfait is complete, I dig in about a quarter to one half a cup of a granular (or liquid) rose food in a circle around the bush, depending on the size of the bush and the directions on the package. Then I water in about another half-gallon of water. I will note that if you are against granular rose food with insecticide and fungicides in it, David Austin Roses makes a very good granular rose food. plant. The magic circle is only peat at the top so my rose breathes properly. planting and feeding. Then they go on the regular schedule. For diseases like rust, blackspot and powdery mildew I used to spray when needed. But then I discovered drenches which are much easier on the rose. I use Cease Microbial Fungicide and Bactericide, which is OMRI Listed, by BioWorks. You can buy it from Amazon and other places. It is expensive but worth it. One of my other horticultural mentors taught me about using a biofungicide. It also is marvelous when I have to deal with daylily rust. Cease is a aqueous suspension biofungicide with proven effectiveness in controlling a wide array of both fungal and bacterial pathogens, while providing outstanding plant and environmental safety. Based on a naturally occurring, patented strain of Bacillus subtilis (strain QST 713). Cease Microbial Fungicide and Bactericide can be used as a foliar spray and soil drench on ornamentals, trees, shrubs, flowering plants and greenhouse crops and vegetables grown under cover. It is a broad spectrum biofungicide targeting common fungal and bacterial diseases such as Botrytis, Pseudomonas, Xanthomonas, Erwinia, Powdery Mildew, Leaf Spot and Speck, Anthracnose and Rust. There are other biologic fungicides out there, but Cease is what I use. For the pest problems like aphids and their ilk, I use a horticultural oil spray like Neem or something with Pyrethrins. Sprays with Pyrethrins are the best things to control outbreaks of white fly. When the weather gets too muggy, hot and humid I do not spray. I used to use a rose dust, but a few years ago I decided that skeeved me out and settled on another drench. The one I discovered by accident and use VPG/fertilome’s Tree & Shrub Systemic Insect Drench. This insecticide drench controls most bugs I can think of that will bother my roses, perennials, and shrubs. As a drench, it is watered in (I have a special watering can I use ONLY for drenches). The product is mixed with water, dissolves in water, moves down through the soil, and is absorbed by the roots. You drench the plant at the base, the root level. It is NOT like a spray so you don’t hit the above ground plat at all. Once absorbed, it moves up through the tree or shrub, providing year-long protection even into new growth. It contains Imidacloprid and provides 12-month Systemic Protection. Again, I discovered this completley on my own. My most pervasive rose pest seems to be borers and it has helped with them. Look, I am a cancer survivor. I do not like using chemicals. But sometimes you just have to in a controlled manner. I have a lot of time, money and sweat equity involved in my garden. I will treat it right. A website which helps find biologic alternatives is Forestry Distributing. I discovered them by accident when trying to learn in terminology I could understand what biologics did and how they worked. aphid population. I also plant purple sweet onions around and near my roses and other plants aphids like. I buy the starts in the spring. Old wives tales also say that parsley planted near the feet of roses makes your roses smell sweeter. I don’t know it THAT is true, but hey! why ruin a good thing? I do it anyway! I can also tell you that it is very true that strawberries and roses get on well together. bulb, shrub, or herb. My garden is definitely a layered one and is reminsicent of an English or Irish cottage garden. well for me, and I hope I have helped. All of the photos of roses were taken by me and are my actual roses from my garden. Happy rose gardening! Some of my readers will find this a rather strange post from me. So I found out today The English Beat and General Public vocalist Roger Charlery…also known as Ranking Roger has passed away. I graduated from high school in 1981. My freshman year in college I discovered many new sounds in music including Ska. Madness and English Beat were played everywhere. When English Beat broke up we danced and listened to General Public….and still danced and listened to English Beat. The sounds of my being a teenager. I still listen to both English Beat and General Public from time to time. Lots of happy and fun memories attached to the music. R.I.P. Ranking Roger from one of your U.S. fans. 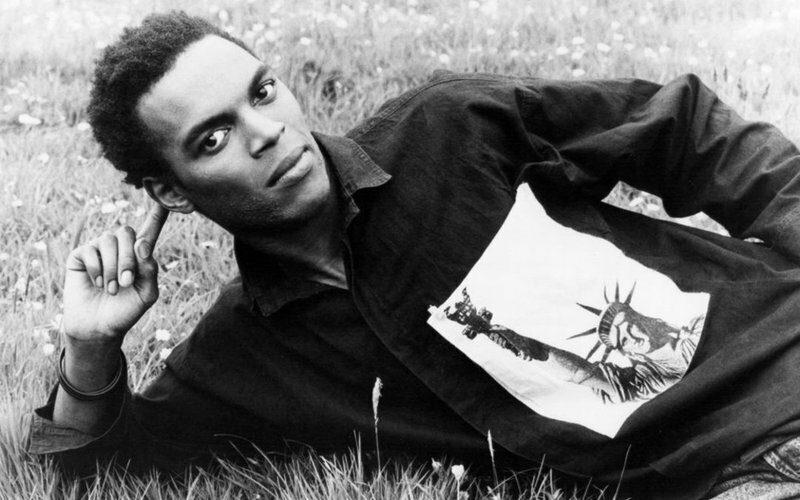 Ranking Roger, who has died aged 56 after suffering from cancer, was a singer and frontman for the Beat, one of the four big British ska revival bands – along with the Specials, Madness and the Selecter – to emerge after punk in the late 1970s. The Beat’s flowering was a brief one, but Roger was at the heart of the group’s successes in the early 80s, when they had five Top 10 singles and two Top 5 albums in the UK before splitting in 1984. He had songwriting credits on many of their most popular compositions, and alongside duties as joint vocalist with Dave Wakeling was also the band’s “toaster”, talking in stylised fashion over various song sections in a mode popularised by reggae deejays of the late 60s and early 70s. Later he pursued solo projects and collaborations with various well-known bands and artists, including Big Audio Dynamite and Sting, before touring and recording with a reincarnation of the Beat, with whom he worked until his death….Born Roger Charlery in Birmingham to Jean-Baptiste, a toolsetter, and his wife, Anne Marie, both of whom had emigrated to Britain from the Caribbean, he grew up in the Small Heath area of the city, next to Birmingham City football ground. ….Drawing heavily on Jamaican musical themes from the 60s but with a distinctly British feel and punk sensibility, the Beat, along with Madness, the Specials and the Selecter, swiftly became part of the 2-Tone movement, which took its name from the independent label to which each of the bands initially signed. Four of the Beat’s first five singles made it into the Top 10, including their third release, Mirror in the Bathroom, which peaked at No 4, and Too Nice to Talk To, at No 7. Their debut LP, I Just Can’t Stop It, was released in 1980 on their own Go Feet label and featured their most talked-about composition, Stand Down Margaret, which was banned by the BBC and had Roger’s toasting to the fore as it called for the resignation of the prime minister, Margaret Thatcher. The album reached No 3 in the charts, as did its follow up, Wha’ppen? in 1981….. Early this year, Roger announced that following a stroke and the discovery of two brain tumours he had also been diagnosed with lung cancer. He is survived by five children. Those who know me know my love for ska music. The news that Ranking Roger, lead singer of legendary ska band The Beat, has died after a period of illness was like a dagger to my heart. I loved The Beat. I’m proud to say I’ve seen them many times over the years. Their sublime musical talent, their ceaseless energy, their gift of being able to lift one’s spirits when they are at their lowest will be with me forever. Songs such as Mirror In The Bathroom, Hands Off She’s Mine, Too Nice To Talk To, Doors Of Your Heart – became classic numbers. They also did superb cover versions of Can’t Get Used To Losing You and Tears Of A Clown. Ranking Roger – real name Roger Charlery – was a ska icon, bouncing across the stage with boundless energy. …..It was what The Beat did best. Their music invoked a feelgood factor and I have never been to one of their gigs which I didn’t enjoy or feel so much better afterwards. Roger was just 56 years old – a year younger than I am which underlines that none of us are immune from tragedy…. Last night I wrote a brief piece about a twitter handle that cracked me up because it was light and fun. I wrote that it was so welcome over the usual…vile political diarrhea… and angry rhetoric. Should I be surprised that I then received love notes overnight from keyboard critics? Nope. But they were pretty vile and I think they need an airing. I take threats seriously. Besides, I am not a moonbat who is a lonely aging liberal lady who is drinking while abusing prescription drugs as one commenter indicated but I do know lots of nice law enforcement folks….even in Radnor Township where this commentor appears to hail from. And they were so angry they commented twice. Oh my gosh oh golly, bet they did not know this blog has this awesome feature called blocking, right? If they want to be angry Americans (if they are even Americans) that’s on them. But I reported all of their fake e-mail addresses and I.P. addresses and I am sorry they are so angry, bless their hearts. These Internet trolls are exhausting, and exhausting to themselves most of all, I have no doubt. As someone who is not and never has been particularly liberal, I marvel how today anyone who has a brain or a conscience is an evil liberal. How anyone with their own thought process as an independent thinker is evil and to be reviled? And people wonder why I stopped being a Republican and became an Independent? I think that all of these keyboard tigers should read what George Washington wrote so long ago in his Rules of Civility. R.I.P. civil discourse and honorable opposition, apparently. Does anyone actually remember how and why this country was founded?